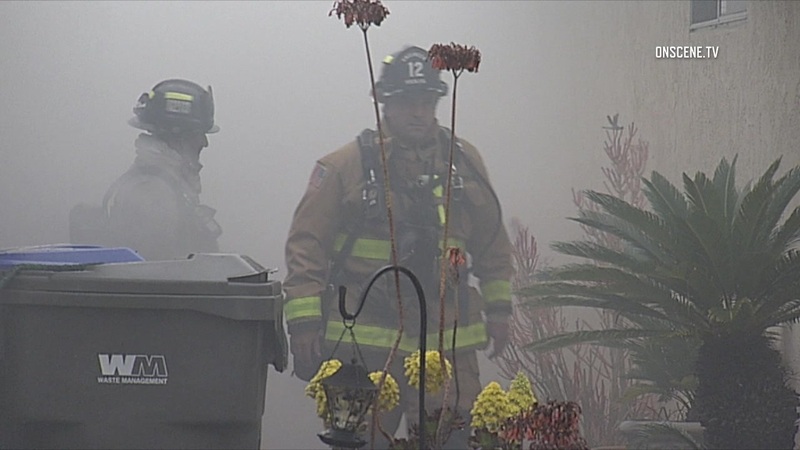 An electrical short caused a two-alarm fire Saturday at an Oceanside duplex that left seven people homeless, according to fire officials. Oceanside firefighters were dispatched shortly before 11:30 a.m. to the 4400 block of Via La Jolla and immediately called for a second-alarm response, according to fire officials. That brought in first responders from Vista and Carlsbad. While units were in route, the fire department dispatch center reported explosions in the area and multiple homes on fire, and the first unit on scene reported a single story duplex with fire to the rear of the structure spreading to the other homes and to the attached garage of the unit next door, officials said. Firefighters entered the front door and worked their way to the rear of the home to the main fire. As other units arrived, they were placed to the rear and sides of the main fire to cut off fire moving to the exposures, according to officials. Two homes and two garages were damaged by smoke and fire. Crews that responded at the rear of the structure were able to keep the fire from extending to the other nearby homes. adults from the two homes were displaced by the fire and the Red Cross supplied them with temporary housing. The fire was caused by an electrical short outside the duplex on the back patio that spread inside and to the home next door. There were no reports of injuries.